The City of El Paso, Texas and the surrounding area faces significant challenges because of its poverty level, sparse geographic distribution, and limited access to tools necessary for economic development. Among those tools are computer access, broadband connectivity, and other advances in technology necessary to improve education, job training, and health. A 2009 Digital El Paso survey showed that only 35 percent of El Paso-area households have high-speed Internet access, compared to over 60 percent of households nationwide. The city’s Virtual Village project addresses these concerns through an extensive overhaul and expansion of its public computing capacity. The project will engage hundreds of agencies, community institutions, and local organizations to target vulnerable populations, particularly at-risk youth, the elderly, the unemployed, and minorities, with training in and access to computer technology. As of June 2013, the City of El Paso, Texas deployed approximately 1,300 computer workstations and 200 laptops in 89 public computer centers across the city. The city and the surrounding area face significant challenges because of poverty, sparse population distribution, and limited access to tools necessary for economic development. The Virtual Village: Digital El Paso’s Pathway to Success project provides much-needed computer access and training to vulnerable populations, particularly at-risk youth, the elderly, the unemployed, and minorities. 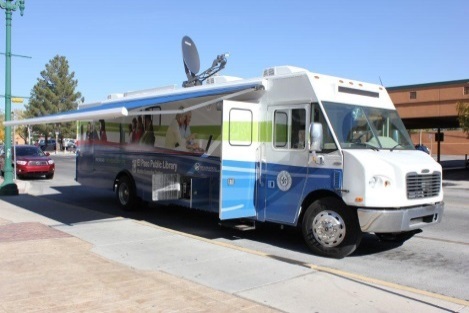 The city also uses a mobile computer training lab to bring digital literacy programs, workforce development training, and workstations to areas with limited broadband connectivity. As of June 2013, more than 163,000 El Paso citizens participated in classes on topics including Microsoft Office basics, e-government, resume writing and job searches, financial literacy, citizenship, and social media. In addition, approximately 48,000 users per week on average visited the centers during the last quarter to use the computer stations.